Disclosure: I received a gift certificate to try this company. Chicago offers some of the best life entertainment in the nations. From sports to theater, each and every weekend is filled with must see events. With so many options, venues can sometimes have a few empty seats. 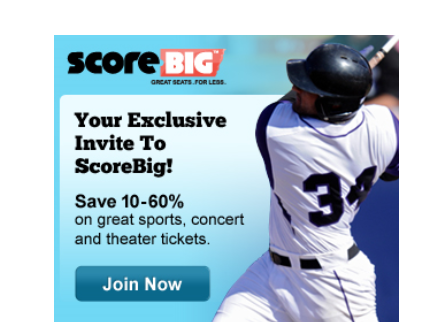 Score Big helps you score tickets to the hottest shows at a great price. The premise behind Score Big is simple. Venues don't like to have empty seats. Score Big works with venues to fill those unsold seats. Customers can purchase tickets in two ways, bid on tickets or purchase tickets at face value. While a customer can bid any amount, the website projects the likelihood of a successful bid. Even initial unsuccessful bids can be resubmitted for a second chance. 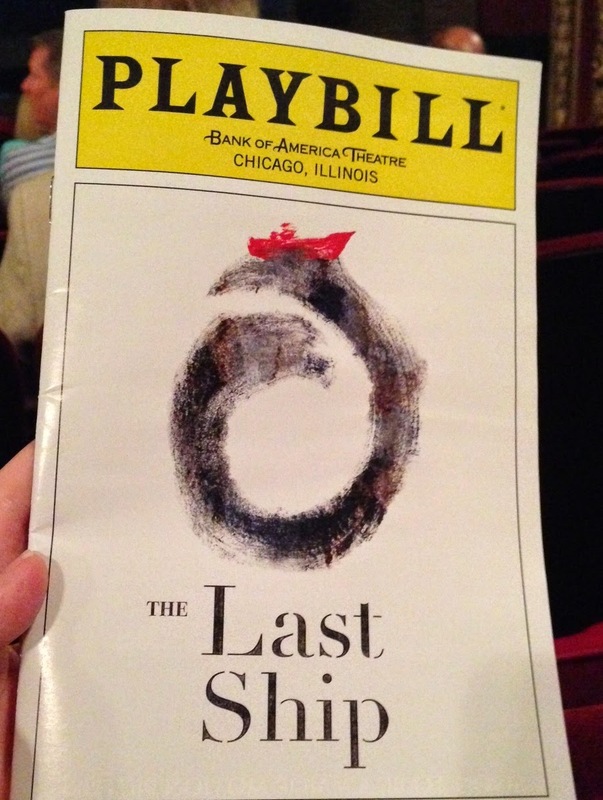 Recently, I used Score Big to purchase tickets to the Broadway preview of the Last Ship, written by Sting. This limited run engagement has been a hard ticket to find. Not being a season ticket holder, I had to wait to find tickets. Since I like being in the know, I couldn't miss an opportunity to see this show. Score Big got me the tickets that I desperately wanted. I was able to purchase orchestra seats for me and my husband for Father's Day weekend. In purchasing my tickets, I chose the buy now option. Knowing that these tickets were in a premium and I had only one date that we could attend, the buy now option was the best idea. My seats had a perfect view of the stage and we enjoyed the show immensely. I didn't have to search for tickets and wait in lines. A day before the show, my tickets were waiting in my account. I printed them at home and we were ready to see the last ship set sail. I would definitely use Score Big in the future. For last minute baseball tickets to favorite concerts, this company is a great way to enjoy all the entertainment that Chicago offers. The only thing stopping me from going out every weekend is finding a babysitter for my kids. Score Big is available in Chicago and other cities across the United States. It's time to get off the couch and Score Big to all the great events in your city. Disclosure: I received a gift certificate to purchase tickets from this company. All opinions are my own.